A siphon is a useful tool that can help move a liquid from one container to another. Some of the most common uses for a siphon are filling and emptying fish tanks and removing gas from cars. Creating a siphon with a hose is easy but can be a messy hassle if you do not do it properly. Siphoning a liquid can be a messy hassle without proper instructions. Put the hose into the container from which you wish to remove liquid. Be sure that the hole of that end of the hose is submerged in the liquid. Place the bucket on the ground below the container that you are removing liquid from. Insert the turkey baster into the end of the hose that is not submerged in the liquid. Squeeze the turkey baster repeatedly until the liquid comes through the hose. 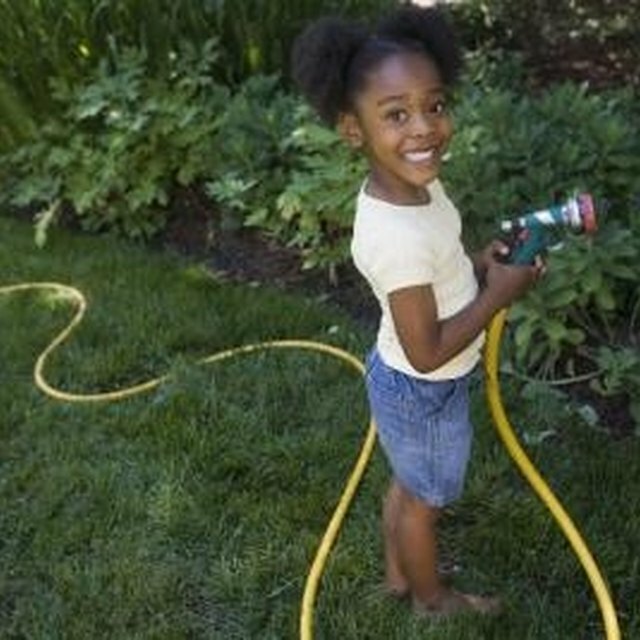 Remove the turkey baster from the hose and quickly point the hose into the bucket. Be sure that the end of the hose in the liquid stays submerged. Direct the liquid from the hose into the bucket until the other container is drained. Be sure that the container being drained into is large enough to hold the liquid from the other container. Some people use suction with their mouths to start the siphon process. This is dangerous with gasoline, as illness can result if you swallow even a small amount.